Before buying and installing a surveillance camera, it’s important to know the Ontario video surveillance camera laws of your area. Search through our Ontario video surveillance camera laws listing, find your region, city, or township and click the bylaw link below. Some areas do not have specified laws regarding video surveillance at this time. 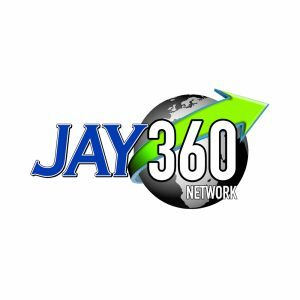 If you want to ensure your security camera follows all the rules, get safe advice from the security professionals at Jay360 to help you make government-compliant security choices. No video surveillance laws have been specified for these areas within the Regional Municipality of Waterloo. You can check out The Personal Information Protection and Electronic Document Act (PIPEDA) for more information on security. PIPEDA is the federal privacy law for private-sector organizations. It establishes rules for how businesses must handle personal information. Tip: If you plan on installing a security camera at your residence, contact your local city before setting up a camera and know all the potential rules and regulations. This can help avoid potential conflicts with neighbours who may be worried about their own privacy. No video surveillance laws have been specified for these areas within Wellington County. You can check out The Personal Information Protection and Electronic Document Act (PIPEDA) for more information on security. PIPEDA is the federal privacy law for private-sector organizations. It establishes rules for how businesses must handle personal information. No video surveillance laws have been specified for Brant County. Check out The Personal Information Protection and Electronic Document Act (PIPEDA) for more information on security. PIPEDA is the federal privacy law for private-sector organizations. It establishes rules for how businesses must handle personal information. Tip: If you plan on installing a security camera at your residence, contact your local city before setting up a camera and know all the potential rules and regulations. This can help avoid potential conflicts with neighbours, who may be worried about their own privacy. This means that personal video surveillance cameras are only permitted to view people and land on your own property, and nothing beyond your property lines. Though there are no regulations or bylaws regarding the use of personal surveillance cameras, Oxford County has released extensive information about the use of surveillance cameras in county-owned or operated facilities. Click here to view. No video surveillance laws for personal use have been specified for Oxford County. Check out The Personal Information Protection and Electronic Document Act (PIPEDA) for more information on security. PIPEDA is the federal privacy law for private-sector organizations. It establishes rules for how businesses must handle personal information. No video surveillance laws have been specified for Perth County. Check out The Personal Information Protection and Electronic Document Act (PIPEDA) for more information on security. PIPEDA is the federal privacy law for private-sector organizations. 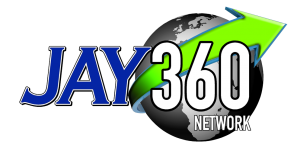 It establishes rules for how businesses must handle personal information.